One standout story for investors over the past few years has to be the relentless hype over the huge IPOs that have hit the market during this time. From Facebook to Twitter and now the Alibaba IPO, investors thirst to get their hands on the shares of these huge and exciting companies at their initial public offering level has seemed somewhat insatiable. The Alibaba IPO is the latest tech IPO to be causing a stir and demand shows no sign of letting up, so much so that Alibaba have now increased the maximum offer price on its IPO shares from $66 to $68 as professional investors continued to show demand for its shares. IG – the leading CFD and financial spreadbetting provider – have also been trading a grey market for the Alibaba IPO since March of this year and after some early volatility the grey market has been trading fairly tightly, placing Alibaba’s total market cap at between $195-205 billion, rising at the beginning of September and now standing at $210-220 billion. If Alibaba manages to price at the high end of its $60 to now $68 per share range then the share sale – which is only a fraction of its actual equity – will bring in around $21.1 billion and is therefore on track to potentially become the largest U.S. initial public offering ever, an accolade previously held by consumer credit giant VISA after its $17.9 billion IPO in 2008. As with all of these big IPOs there is great debate over how justifiable the pricing is at $60 to $68 a share. The question of whether this price will find support in the hours, days and weeks after trading begins will depend on whether individual investors will feel confident enough to jump in and spike the share price when they become available for sale to individual investors. Even if it doesn’t find initial support however – as we saw after the Facebook IPO – the current share prices of both Twitter and Facebook may give individual investors some confidence about the proposed level of the Alibaba IPO. Investors who got in at the IPO level with both of these companies and held their nerve during the turbulence have all made money, with both Facebook and Twitter’s share price today trading at around double their IPO price. Of course, we do well not to forget Groupon whose shares today sit at around $7 per share, around 65% lower than its 2011 IPO price of $20 per share. Much has also been said about the fundamentals and business model of Alibaba in the lead up to this IPO and of course, they are a completely different company in nature to that of Facebook, Twitter and Groupon. Alibaba also doesn’t yet have quite the same brand recognition in the US as all of those other companies had prior to their IPOs, which may impact on individual investor confidence. What it lacked in US brand recognition prior to this IPO however will have been helped somewhat by all of the media publicity its IPO has received. 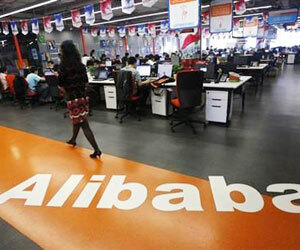 Will you be investing in Alibaba? Why Do People Trade CFDs? I’m a little hesitant to buy IPOs, but I might buy a few Alibaba shares. The money I plan on putting into Alibaba won’t make me rich if it takes off, but it also won’t break my bank. I have been watching Alibaba for years. I would buy into them at almost any price. Alas for my lack of funds. Perhaps next time. As an investor, there are two things I avoid like the plague – Tech IPOs and Chinese stocks. It should be fun to watch this play out. These tech valuations in recent years have been ridiculous. In some form or fashion, I am sure I will be invested eventually in Alibaba. But this is because the mutual fund/ETF I invest in will buy in, not because I actually go and buy the IPO.